Are you a new blogger? Do you feel like you don’t know which direction to go? Get inspired by our blogging tips for beginners like you. Disclosure: This blog post contains affiliate links. If you purchase a product or service that’s linked below, we might receive a commission. We take our time to carefully study the products and services that we review and recommend. We want you to only purchase the best of the best. Learn more. Your blog will never be perfect. Getting your blog started after a little bit of research will get you started on achieving your blogging goals. Blogging is a long game. You’re not likely to reach top listing on Google page 1 right out the gate. Just keep going. Just keep writing and promoting your content. You’ll experience growth. Community is everything. 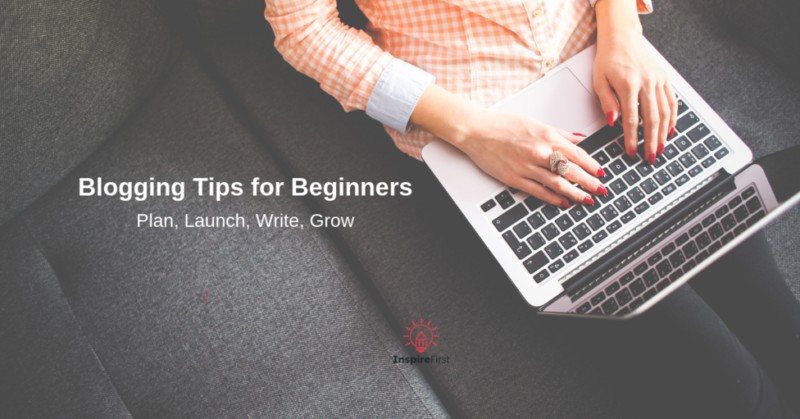 Forming relationships with your target audience is one of the most powerful blogging tips for beginners. Humans were created to be relational. Relationships are the foundation for any successful blog. Plus, you’ll learn a ton from the individuals in your audience. The people who will read your blog will have specific questions that they need answered. Find out your audience’s questions and pain points and write about those topics. I find that reading helps me be a better writer. You should read other bloggers in your niche for inspiration and motivation to write better content than them. Read bloggers outside of your niche for inspiration and creativity. Of course, blogs are the only thing that you can read. Pick up a good book. Power Tip: If you’re an auditory learner, consider purchasing an audiobook on Audible. Blogging and SEO are constantly changing, which means you need to be constantly learning! Take courses, attend webinars and conferences, read good books, collaborate with others, and apply what you learn. Blog writing without a plan is a dangerous practice these days. It’s best to have structure and SEO in-mind before and while writing your blog post drafts. Keyword research is absolutely crucial for your blog to achieve organic search success. Google and other search engines won’t be able to find your website if you don’t produce content for specific keywords. 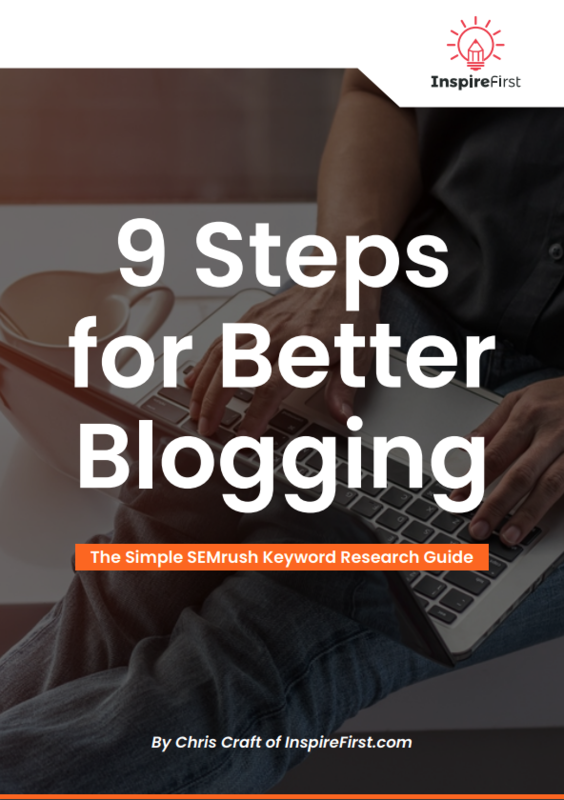 Download our 9 Steps for Better Blogging eBook for a simple SEMrush keyword research guide. An article outlines are great tools for organizing your ideas. My article outlines contain the subheads (H2, H3, etc) that I plan to incorporate into the final draft. Trust me…your writing will go smoother if you outline your thoughts and ideas first. Proper research and a requisite amount of knowledge on the topic will help you write quality content that’s informative and helpful to your readers. Write blog posts that are genuinely helpful for your readers. Write from your heart and don’t jump in too fast on selling to your target audience (especially if the relationships are new). Be yourself. Learn from other writers/bloggers but don’t 100% copy another writer’s style. Developing your unique voice as a blogger will help you stand out from the pack. You want your blog and its posts to look good. No blogging tips for beginners list would be complete without some image tips. You don’t want the legal drama associated with publishing an image that you don’t have the rights to. Trust me. The fees for such a mistake could set back your budget for quite a while. Check out Death to Stock for a quality subscription-based image source. Or even better, check out the stock image options at Canva. Canva is an online graphic design website/tool that allows you to create custom images for your various online needs. Simply put…Canva rocks. Your designs can have predetermined dimensions for specific platforms or your design can have custom dimensions. They also have a ton of royalty-free images and fonts that you can use to make your blog image pop. If you can’t find a free image that you like, then you can purchase a beautiful stock image for only $1! Working in Canva is so fast and easy. Blogging is so rewarding. You get to be creative and helpful at the same time. I hope these blogging tips will help you achieve your goals and dreams. What did I leave out? Email or leave your favorite blogging tips for beginners in the comments below. Need a system for writing good blog content? 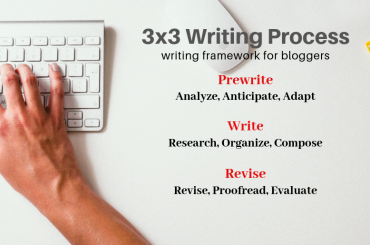 Get started with your next blog writing task by using the 3×3 writing process. Follower of Jesus. Husband. Father. Founder of InspireFirst and Nao Media.